Presenting another innovation not to be found elsewhere. 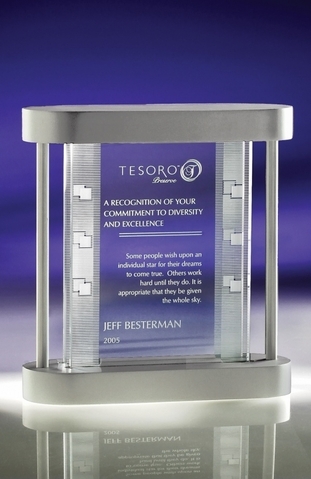 This contemporary design showcases two panels of etched glass positioned to add depth and dimension to your award. The lacquered wood base, aluminum columns and etched textures add up to a restrained palette that is designer and classy.